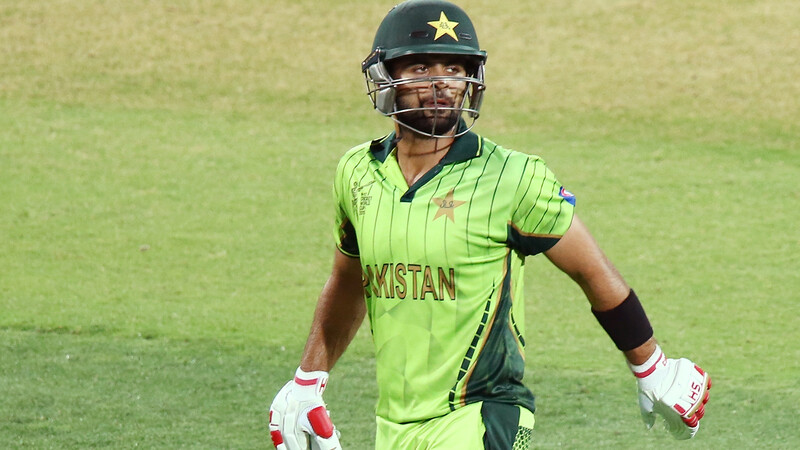 Shaw had smashed a Test ton on his debut game against West Indies in Rajkot. 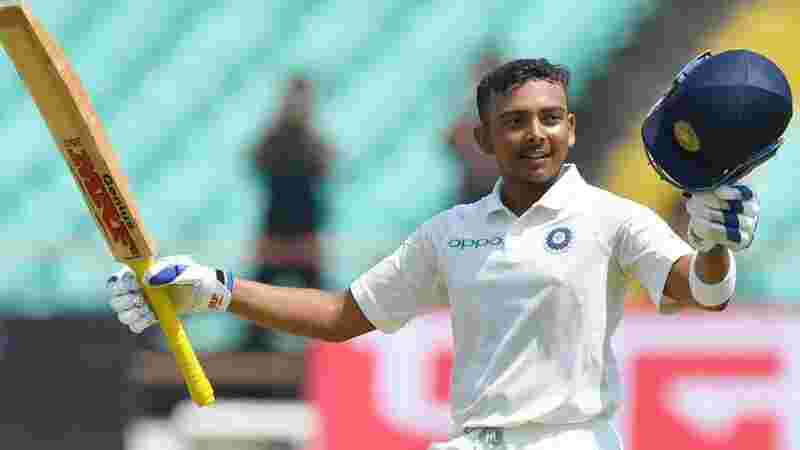 Prithvi Shaw, the 18-year-old Mumbai batsman who made his Test debut for India recently against West Indies at Rajkot, has put food delivery companies like Swiggy and Freecharge, in trouble. 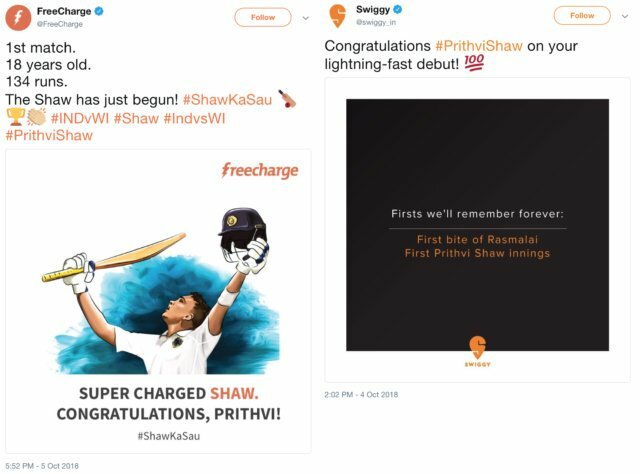 While Shaw was entertaining his admirers on the field with a blistering 154-ball 134 runs in the first Test, Freecharge and Swiggy put on their creative cap to promote their brand through his innings on social media. But both the brands didn't know that it would cost them a huge amount. They had to delete the tweets later. 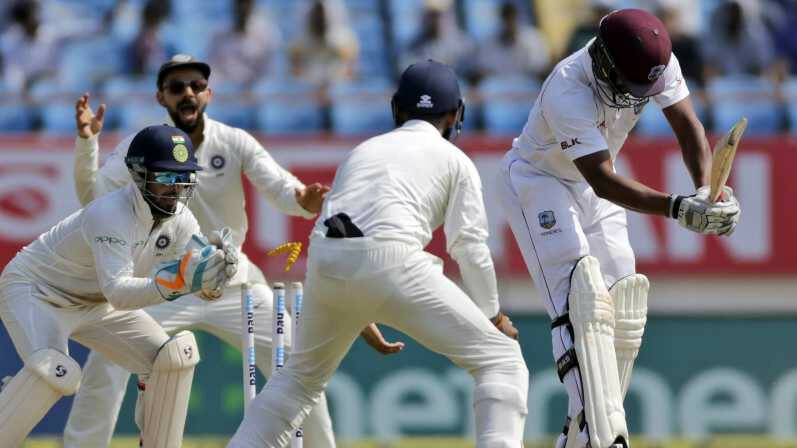 Baseline Ventures, the sports marketing firm which manages Shaw’s commercial interests, have sent legal notices to Swiggy and FreeCharge on charges of using Shaw’s name without its authorization in tweets and also sought Rs 1 crore in compensation from each of them. The messages on social media, acceding to the report, violated Baseline's exclusive rights as well as Trademarks Act, 1996. 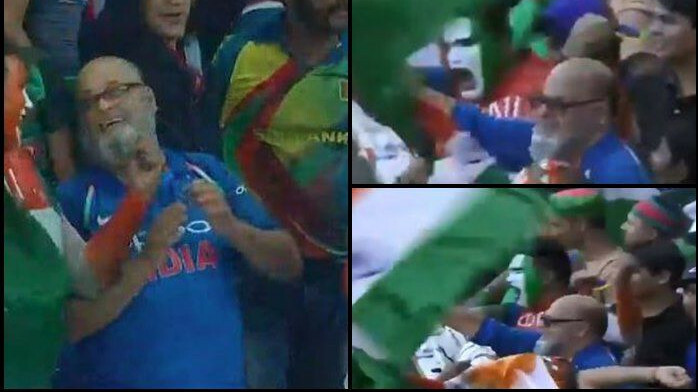 “This is not only unfair to the player’s achievements but also to other genuine current sponsors and potential sponsors of Prithvi who pay to associate and play by the rule books. We will be taking legal recourse against other firms too, who have resorted to similar ambush marketing communications,” Tuhin Mishra, MD of Baseline Ventures was quoted as saying by a media organization. Swiggy conformed the legal notice and they will be dealing with it through their legal department.